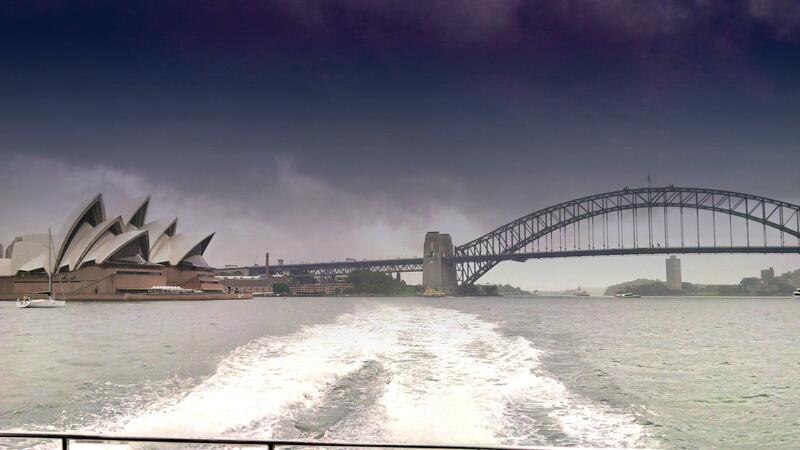 I can’t think of a better way to spend the day than being around beautiful Sydney Harbour! 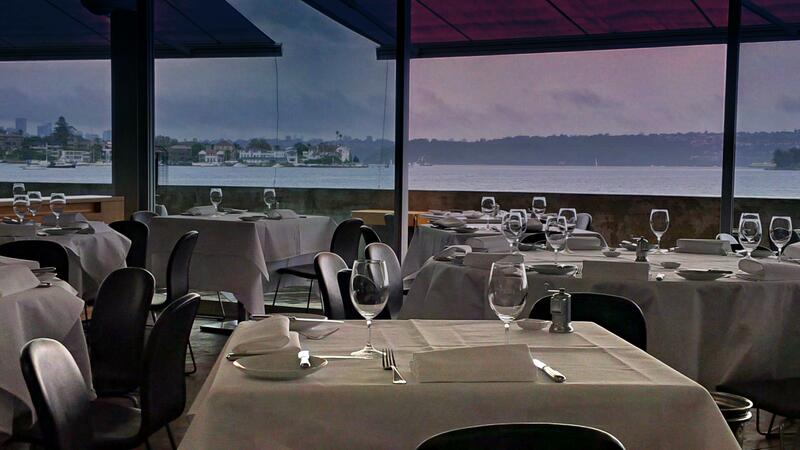 The cherry on the cake of course is to spend time at a beloved Sydney institution on the waters edge. 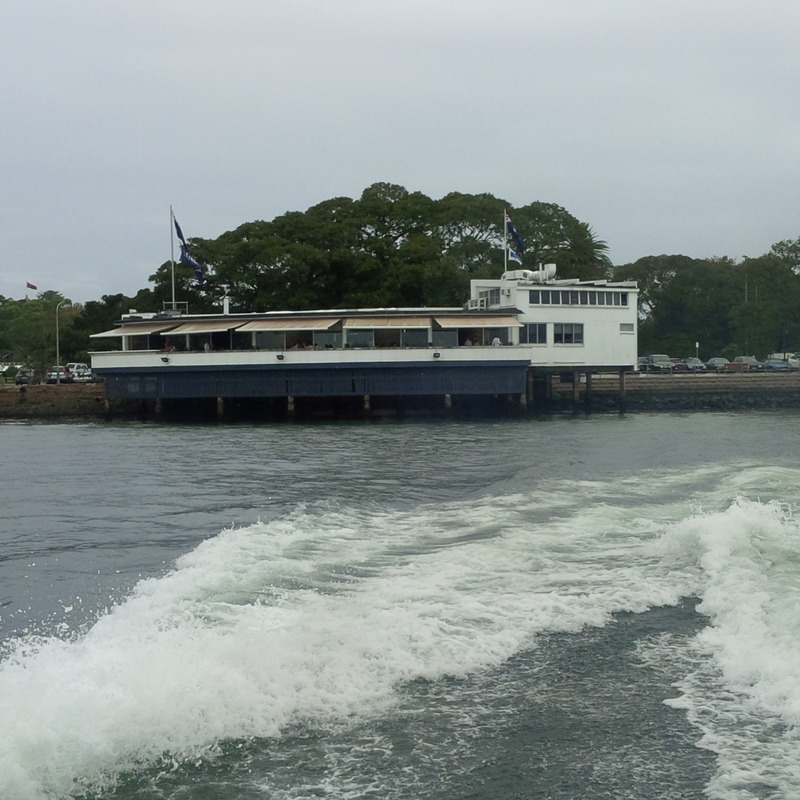 I am talking about Catalina in Rose Bay. A beautiful fine dining establishment, with elegant views and top notch cuisine. The ride over to Catalina is breathtaking – the view is romantic, charming, it’s got that James Bond kinda speedboat chase scene thing going (without the evil villain chasing me and those cool Bond gadgets of course – Travel Czar still uses a Blackberry believe it or not). 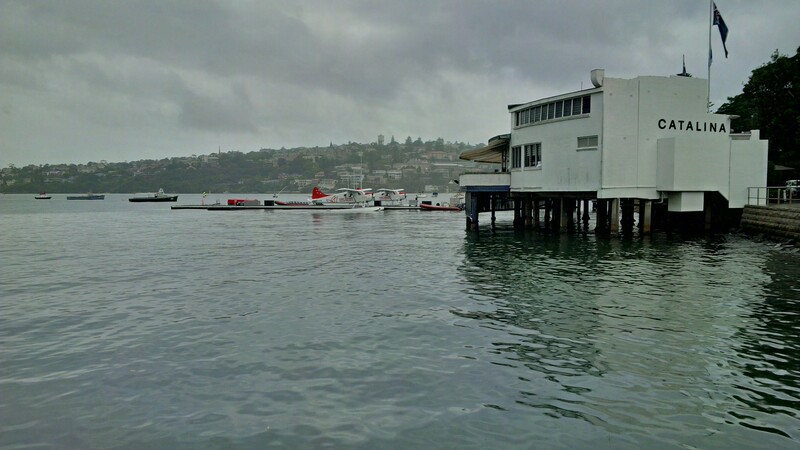 Anyway, in a few short minutes we are at Catalina, a restaurant which is beautifully perched on the waters of Rose Bay alongside a wide range of classic yachts and speedboats. Now the view from the entrance is magnificent. I am completely in love with this place. 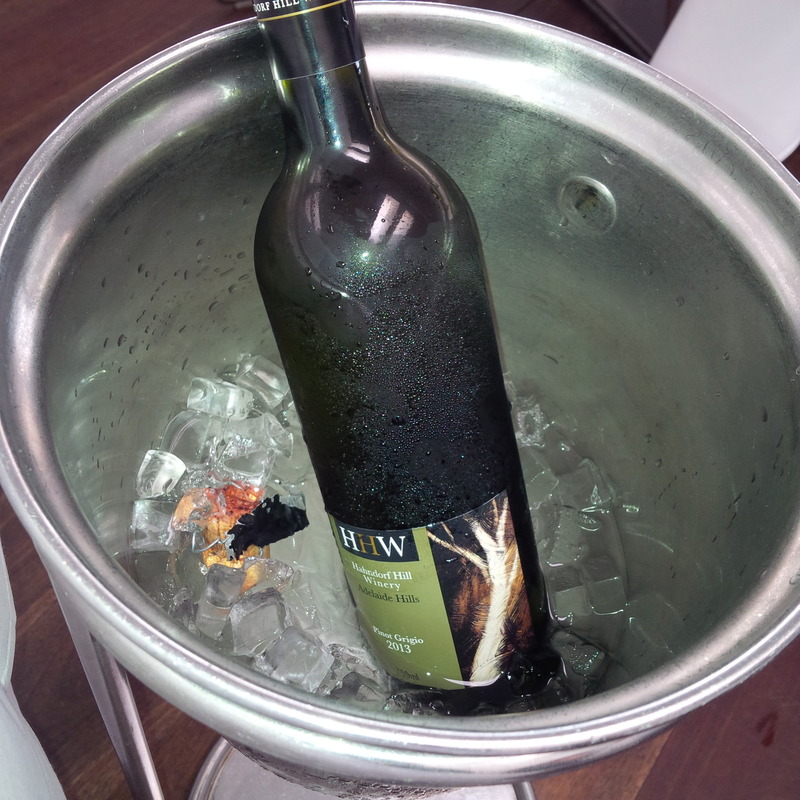 The waitstaff are friendly, they arrange the table and pretty soon a beautiful bottle of Handorf Hill (2013) Pinot Grigio from Adelaide Hills is brought out. This stunning little drop is crisp in texture with beautiful light stone fruit and pear flavours. It’s perfect, it’s that refreshing white suitable for any time of the day. This is meant to be a slightly civilized lunch, but this wine is just too good for that, so it flows for the rest of the afternoon and happens to pair perfectly with the chosen dishes. So what is on the menu today? 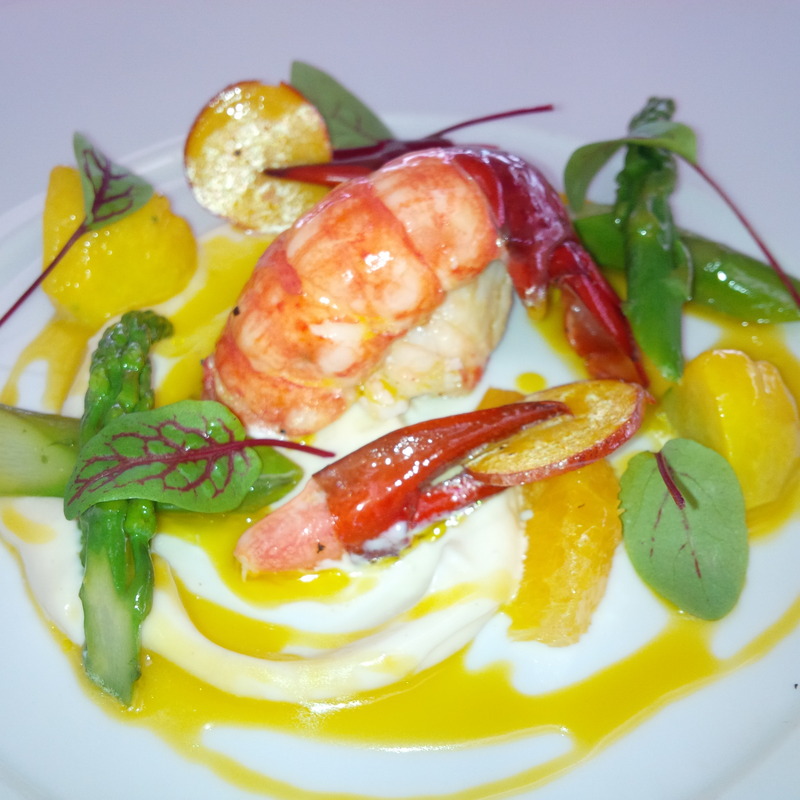 The entree is a lovely poached marron tail with orange segments, aioli and seasonal vegetables. The marron is simply succulent and pairs perfectly with the sweetness of the orange with the richness of the aioli. This dish is simply a masterpiece, its aesthetic in every sense, it has textures (succulent marron, crunchy vegetables the juicy orange and thick aioli), and tastes absolutely spectacular. I could not fault this dish. For the main it’s a fettuccine nero with lobster, tomatoes and chilli infused lobster oil. 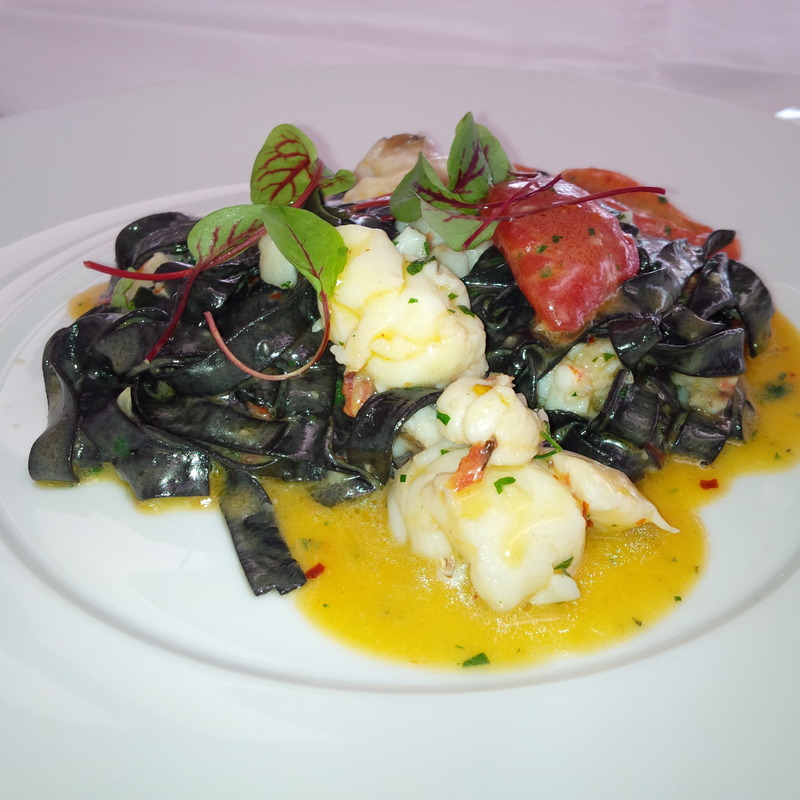 A beautiful soft squid ink pasta, cooked with tomatoes and chilli and then tossed with some fresh lobster pieces. The dish doesn’t have the same wow presentation as the entree, but it is also out of this world. The spice and flavour of the chilli is there but it doesn’t overpower the lobster. The lobster is succulent, cooked to perfection… it’s the star of the dish. The pasta is soft adds some wonderful texture and a light flavour which is what this dish needs (I must say it’s not as strong some other squid ink pastas I have tasted). The Pinot Grigio keeps flowing and just adds to the occasion. It’s such a lovely afternoon. I am bit worried about dessert, can it get any better than the entree and main? Will it be a let down? 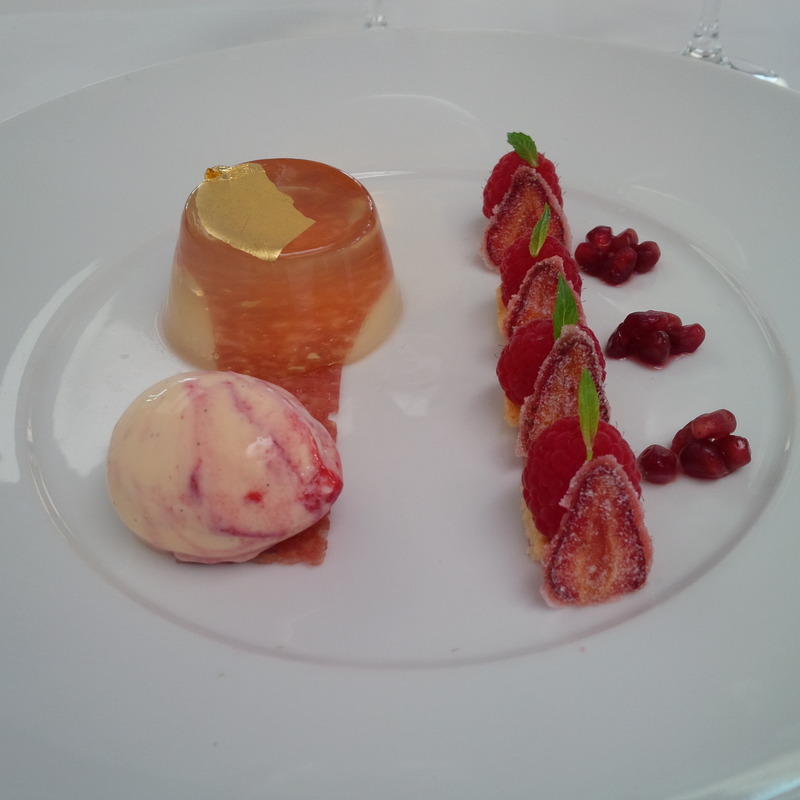 Well it’s worth the risk, so the beautiful Champagne jelly with fresh raspberries, candied strawberries with some loose pomegranates and raspberry ripple ice cream is next on the cards. 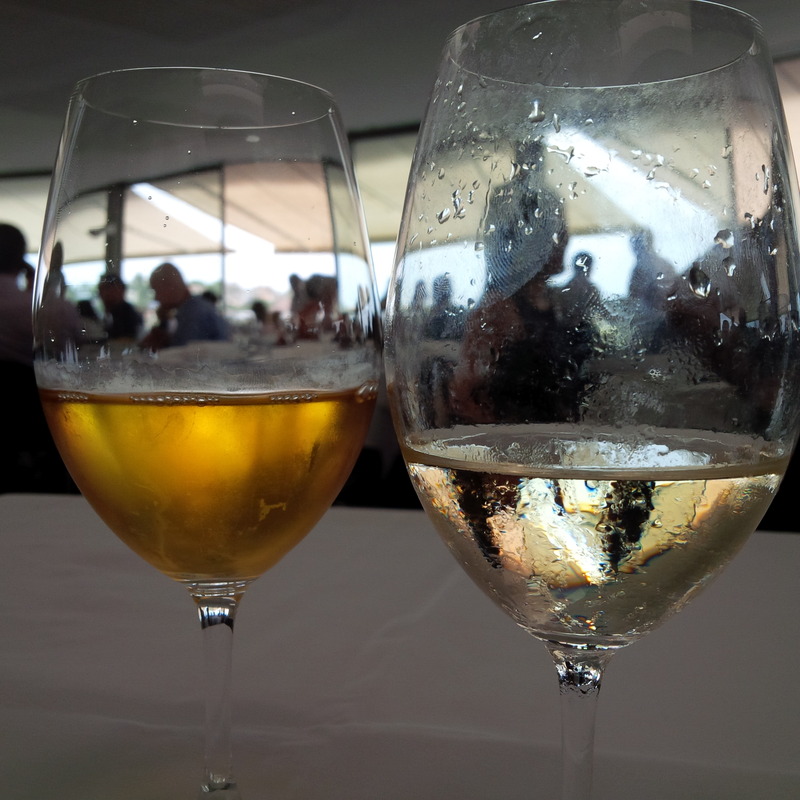 We debate on wines, but eventually a Punt Road botrytis semillon is selected (it is not the recommended match – but I really think it’s a goer). The champagne jelly has the dry taste of the champagne it’s not too sweet, the raspberries provide texture as does this lovely fruity toffee base (under the jelly) which I really can’t describe you’ve got to have it yourself. 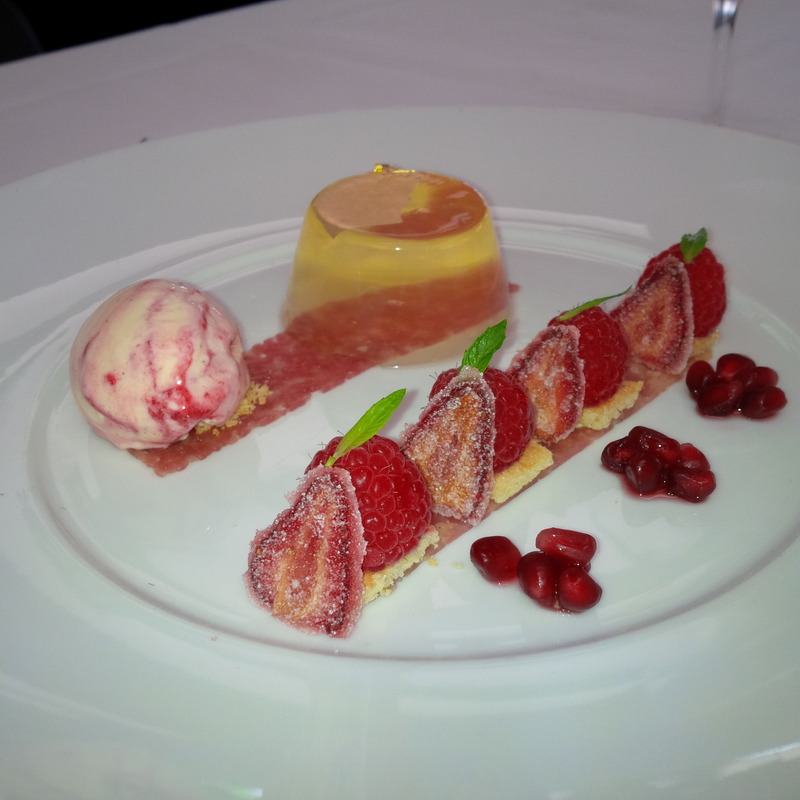 Again, what does it for me is the textures… sticky base, the candied strawberry slices, the soft jelly, the “crumbly shortbready” base of the raspberries and the creamy ice-cream and the soft fruit flesh. 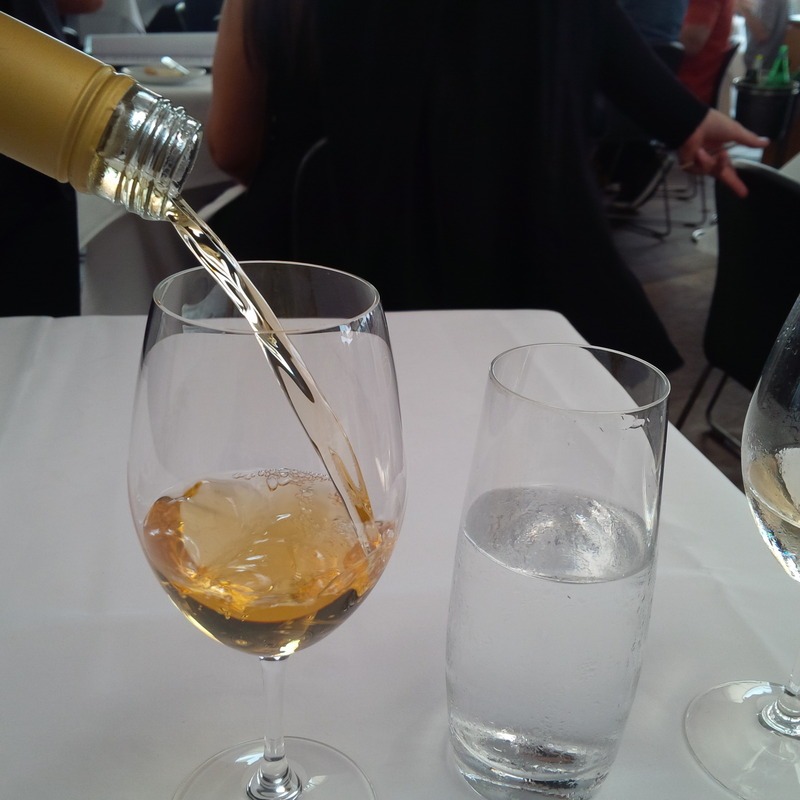 Just when you think it’s flavour overload, you sip the beautiful Punt Road dessert wine. The burst of super sweet citrus flavours (orange and a touch of apricot) just glide along your tongue and do a little dance. All you can do is just sit back and enjoy the view and let the minutes of this timeless afternoon tick by. So the afternoon draws to a close, the chatter of the restaurant keeps rising, the sun even shows its shy face in defiance of every weather forecaster, the Pinot Grigio runs its course and an amazing experience draws to an end. Catalina, you really are one amazing institution – service, food, view, the wine! Love it. what a spectacular meal! Especially love the look of the colourful marron tail dish, and the dessert. Highly recommend them. It’s rare when the entree, main & dessert fire on all cylinders.